A secret or a easter egg whatever you call it, lets you play snake(which we used play in our phones) in the youtube video player. You can play it while the video is loading or even when the video is playing. It’s not the first time for YouTube, previously also in the World Cup period YouTube had a button in its player which allowed to hear Vuvzela sound. ♠ Rules are same as we had in our mobile. 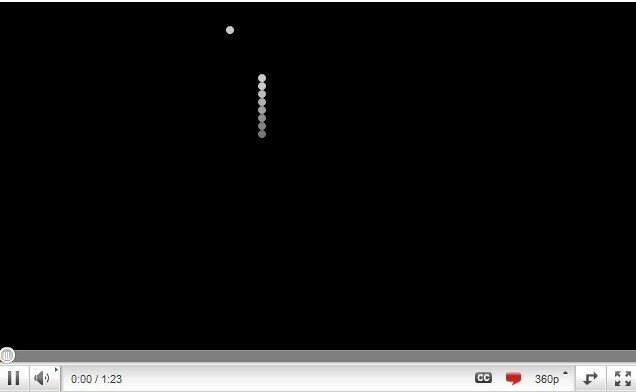 ♠ The snake is made up of YouTube’s video loading dots. ♠ The area for snake is very large (as compared to the mobile screens) that’s why it moves little bit fast. ♠ As you collect a dot, snake’s size gets increased by around 4 dots(not sure). ♠ I don’t think it has levels!! ♠ Feels great in Full Screen mode! 1 You should be trying this on YouTube’s new video player. 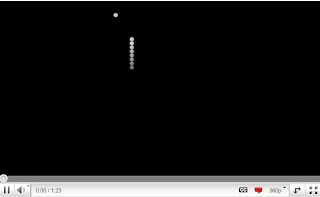 3 Just press Up or Down key if the loading dots are visible and if in between video hold left and up arrow for about 2 seconds and the game will start(it will make your video to go backwards and will take 2 or 3 try.). Note: You can play the game on embedded videos also. After Google Search it’s time for youtube to change their UI. They have introduced a new namely Cosmic Panda. 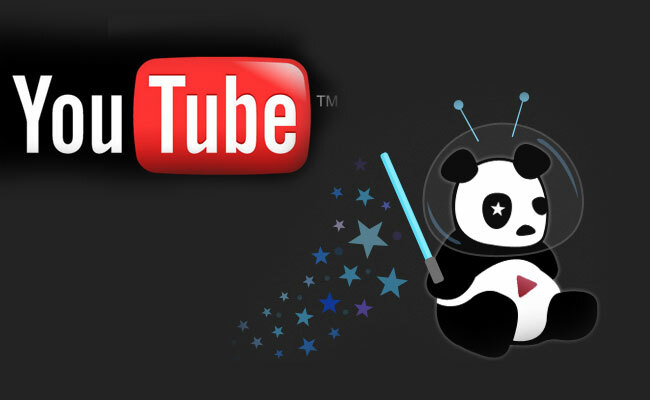 ☺ It features a new video player with a black background and for comments their is a greyish background. ☺ Now, the comments do not have a thumbs up and thumbs down button instead there is hyperlinked text for liking and disliking the comment. ☺ Video thumbnails are bigger than before, profile photos are displayed next to comment, flag as inappropriate is converted into a big button, ads also have their new place, the yellow subscribe button is converted into button with a ‘+’ label. ☺ Moreover, channels have a completely new layout and if you are a publisher,now, you have more page designs and better editing tools to customize your channel. ☺ The best feature of the new interface lets you keep watching video when moving between videos, playlists, and channels but it only works in Google Chrome. Today, I also noticed facebook new chat UI, which makes the Chat menu open long for people who have plenty of friends online. 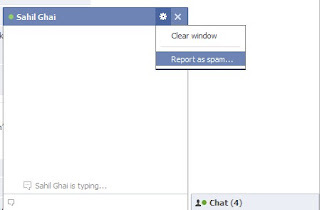 While chatting, the chat pop-up can be close by pressing [Esc]. 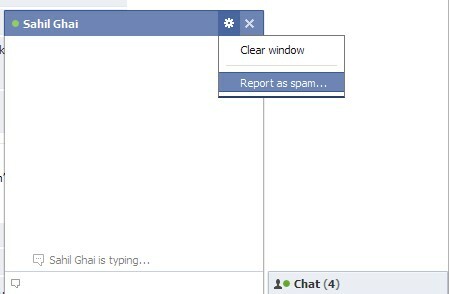 Now you can also report a chat conservation as spam by clicking the options button in the chat pop-up.